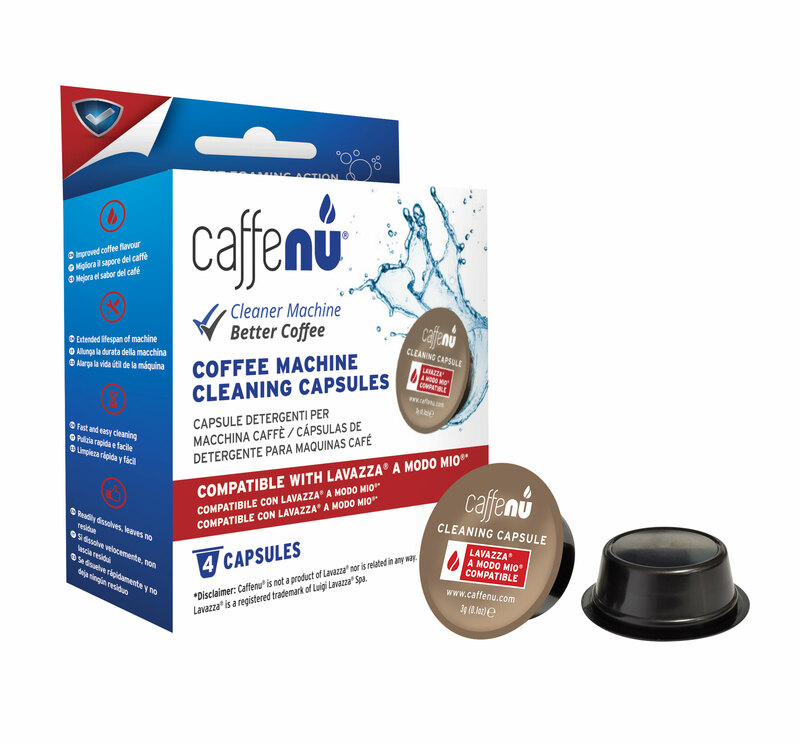 The first ever capsule to clean your Nespresso® coffee machine. The capsule releases a unique foaming agent inside the brewing chamber that gets rid of old coffee oils and residue in just 2 minutes. Don’t forget, only a clean machine makes fresh coffee. 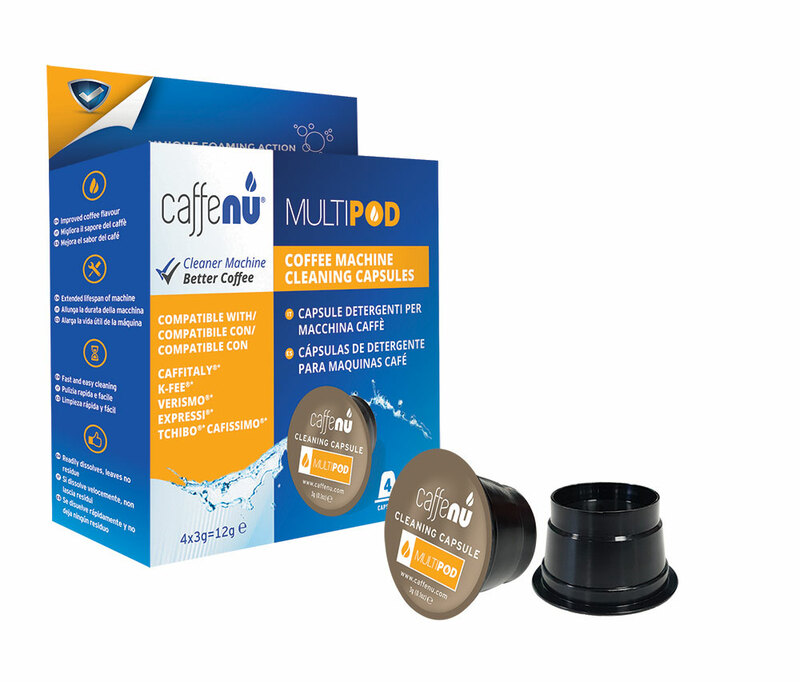 The Caffenu® Multipod has a proprietary design which makes it the perfect cleaner for various top-selling coffee machines. Its innovative compound with powerful foaming and degreasing abilities rids the brewing chamber of your coffee machine of build-up, coffee oils and bacteria in just 2 minutes. Introducing the world’s first cleaning capsule designed for your Lavazza® A Modo Mio® coffee machine. Cleaning is now as easy as making a cup of coffee. 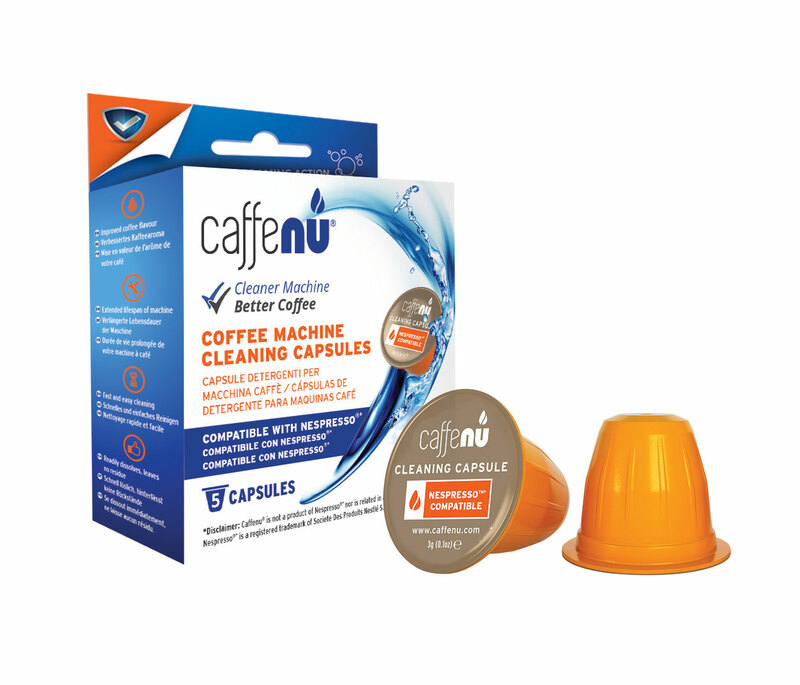 Insert the cleaning capsule just like a coffee capsule. At the press of a button dirty oils and residue are removed from the brewing chamber and spout of your machine. The powerful foaming agent cleans inaccessible areas like no hot water or descaler solution can.